Lock in a great price for Hotel Alexander – rated 8.4 by recent guests! 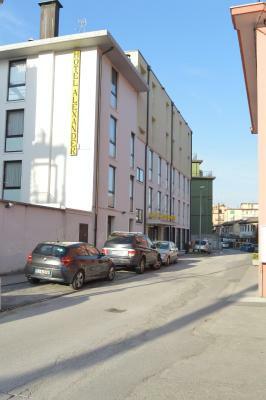 New rooms very clean good location few steps from tram and 10 minutes to venice. The stuff very helpful and willing to help and explain. Breakfast was very good with quite lot of variety. We stay 2 nights everything was great. Location was good. Staff was kind and helpful. Beside the hotel has a Korean restaurant and food was so good. some of the workers in the hotel are not good at all.. one of them were races and treated us very rudly because of were we are from! The receptionists should learn more about treating their guists :) the breakfast is all escramblled egg and cheese !!! not that much varities !! Excellent location, close to T1 Tram line for Venice. All Staff were very polite and helpful. Rooms were very clean and well maintained. Would stay here again if visiting Venice ! Short 5 minute walk to T1 Tram stop, and much much better value than staying in Venice. Trams every 15 minutes, and only around 20 minutes to arrive in Venice. Newly remodeled rooms, very clean, comfy beds. Breakfast was good. 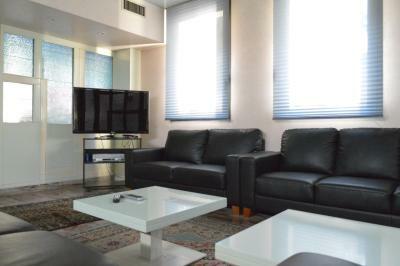 very nice and comfortable room,very good breakfast,parking,nice restaurants near the hotel, easy to get to Venice. The breakfast is very good. The parking lot is closed and safe. The staff is very kind and helpful. The public transportation to Venice Island is very close (3 blocks walking). There are supermarkets, restaurants and stores near to the hotel. Near train stop taking you to venice. Quiet hotel comfortable bed. Hotel Alexander This rating is a reflection of how the property compares to the industry standard when it comes to price, facilities and services available. It's based on a self-evaluation by the property. Use this rating to help choose your stay! One of our best sellers in Mestre! Hotel Alexander is only 10 minutes by public transportation from Venice. At 1.2 mi from Mestre Train Station, its immediate surroundings feature shops and restaurants. It offers free parking. Wi-Fi is free in all air-conditioned rooms. Each has classic-style décor, a TV with satellite channels and a bathroom with hairdryer. The on-site restaurant serves Italian and international cuisine. Guests can enjoy a drink at the American Bar. The Alexander Hotel is 0.7 mi from San Giuliano Park, perfect for jogging and cycling. Venezia Marco Polo Airport is a 15-minute drive from the property. Buses for Venice stop 150 feet away. When would you like to stay at Hotel Alexander? This classic-style room features free Wi-Fi, air conditioning, and a satellite TV. The private bathroom has toiletries and a hairdryer. This larger classic-style room features free Wi-Fi, air conditioning, and a satellite TV. Private bathroom is complete with toiletries and a hairdryer. House Rules Hotel Alexander takes special requests – add in the next step! Hotel Alexander accepts these cards and reserves the right to temporarily hold an amount prior to arrival. Very clean and comfortable room! The pilot lights in the room are overwhelming. TV, thermostat back light, fire alarm ceiling mount flashes and is aimed directly at the head of the bed, fire light pilot over door, these all had to be taped over to get rid of their light so I could sleep. The tub/shower was interestingly poor; the bath spout is loose from the wall and the estuation is too. The knob that selects the shower or tub spout was totally loose and I had to screw it back in. Shower hose and shower head holder are a miss match it would not hold the shower head from moving, this led to the next item. Bathtub has no stop for water at the far end and water follows the narrow side of the tub to the end and runs on the floor. The sink faucet produces the smoothest laminar flow of water I've seen in a hotel, usually you have to go to a water show to see this. The free street parking. Tram access is reasonable to get to Venezia. I didn't make it to the breakfast on time, i was late 15min becouse early morning meeting, they serve me in restourant caffe a couple of croasaints with cream...that was poor breakfast. Modern design, clean and spacious bathroom, enough parking space. Good breakfast, good firm beds, free parking and only five minutes away from tram station. Restaurant can get crowded at breakfast and the breakfast itself was limited. Nice hotel with friendly staff. Very close to the tram that is taking you to Venice. Poor room lighting, some dust under the bed. Hotel is on good location to visit Venice. There is a tram stop for Venice nearby. Room was good size. Bed was ok, sheets were clean. Bathroom was nice and clean. Excellent breakfast, great location, only a short walk to the tram to go to Venice. Staff were very helpful. The underground parking was very secure with locked electric gate and camera. The location was super easy to get to the tram and straight into Venice town. The breakfast was plentiful and no limit. Staff were super friendly and always there to answer any questions. The bed was the worst, putting together two single beds to make a 👎🏼 should specify that when the reservation is made. the room was very spacey, breakfast was very good, the personal was very polite and helpful, very good value for money. Almost everything was very nice and quite recommendable, however our room was quite dirty and it was a lot of dust all over it. Very good price for a comfortable stay in a nicely renovated place, with excellent staff and fantastic tram access to Venice.